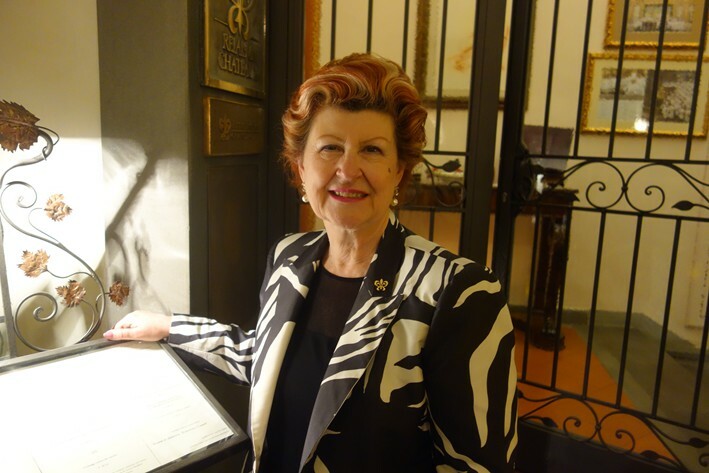 Enoteca Pinchiorri is the grand dame of Florence fine dining, owned by Giorgio Pinchiorri and Annie Féolde, the (French) executive chef. 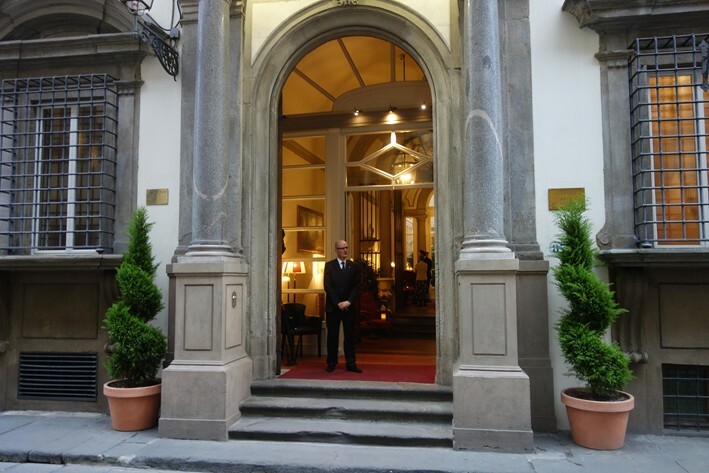 It is on the ground floor of an 18th century former palace, now a hotel, and opened in 1972. 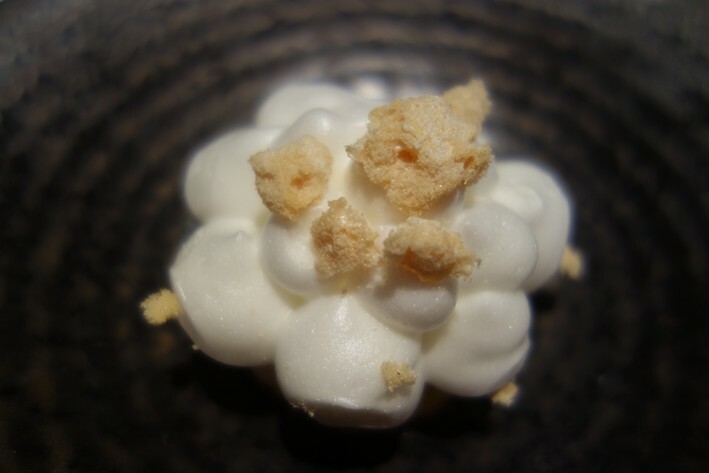 It gained its first Michelin star in 1982, its second in 1983 the ultimate third in 1993. 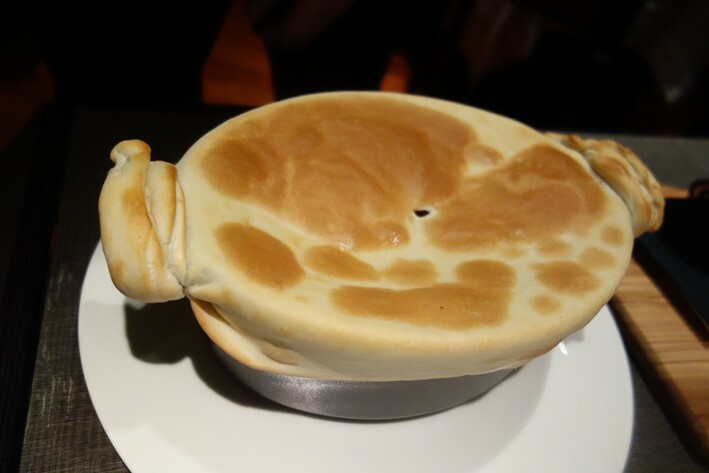 A rarity in the annals of Michelin, it lost its third star in 1995 and then regained it in 2004 (a few others have done this, including Louis XV, Esperance and Cote St Jacques). 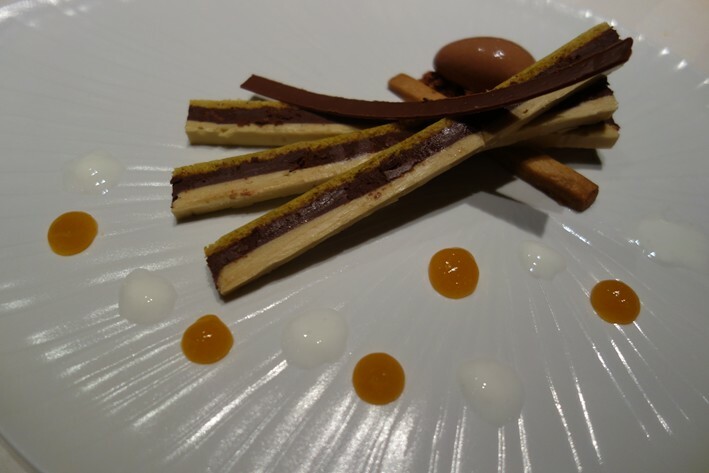 In practice the cooking these days is done by chefs Italo Bassi, Riccardo Monco and pastry chef Luca Lacalamita. Annie Féolde was in the dining room tonight to chat to guests. There are actually five small dining areas, seating around 75 customers in total. This evening there was a pianist playing in the background, though in the room we were in the music was reasonably quiet. 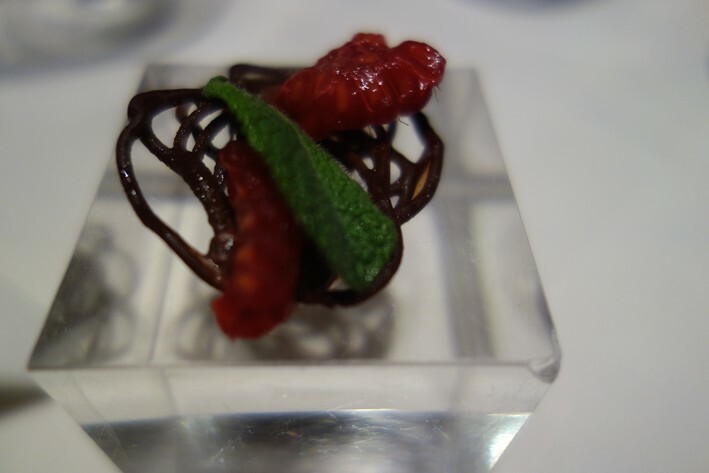 There was a lengthy 15 tasting menu at €225, a shorter six course one at €175 and a nine course version at €250. 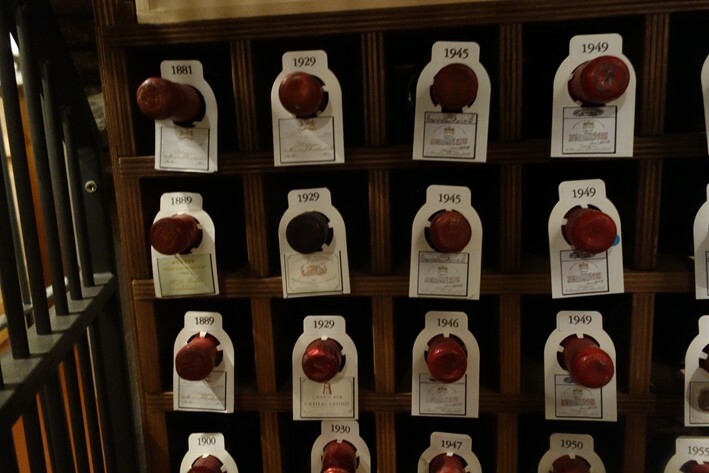 The vast wine cellar houses over 70,000 bottles at present (more can be accessed at other sites), with deep coverage of many classics in numerous vintages. 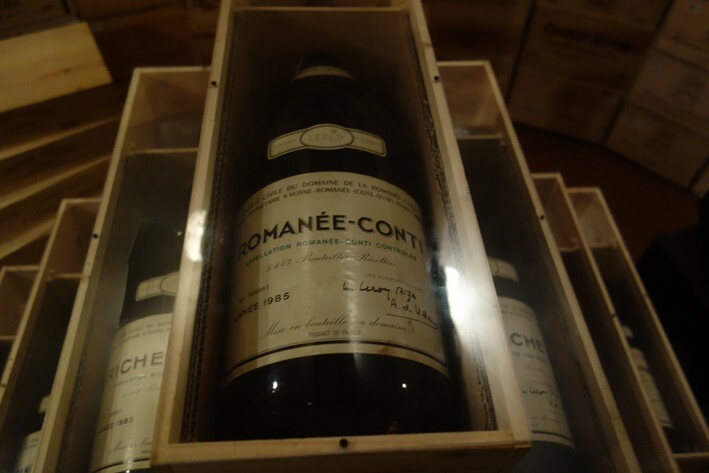 There are some historic labels, such as a bottle of the first ever Tignanello vintage, bin 1, signed by Mr Antinori, and a Methuselah of Romanee Conti 1985, also bin 1. 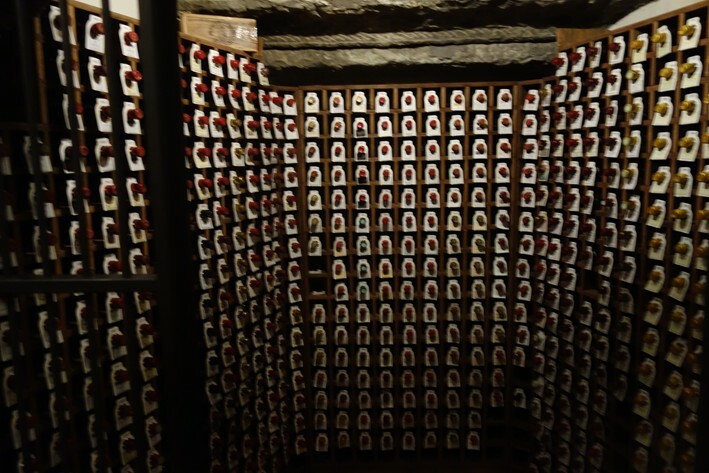 The value of the contents of this cellar hardly bears thinking about, though a friend in the trade reckoned it could be as much as €100 million. The pricing is unusual. Despite the vast scale of the list, the cheapest wine I saw was €75, and there was virtually nothing under €150. Example labels were Leflaive Puligny Montrachet 2001 at €325 for a wine that you can find in a (posh) high street for €117, Marc Morey Batard Montrachet 2012 at a relative bargain €425 for a bottle that retails at €566, and Heitz 1968 at €825 for a wine that will set you back €753 in a shop. 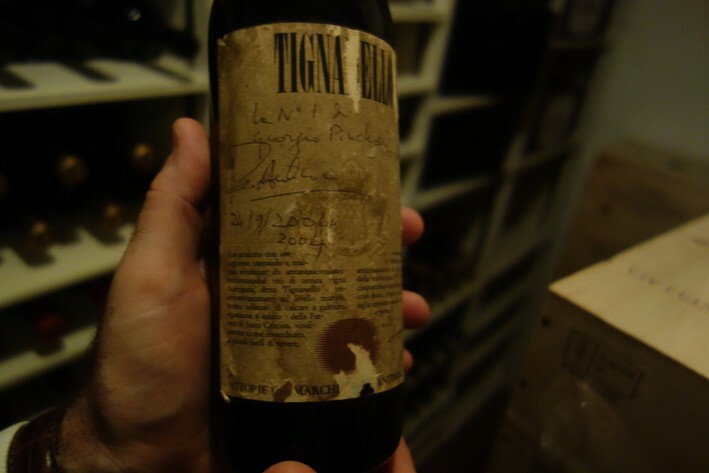 Vega Sicilia Unico 1990 was €1,725 compared to a shop price of €626, and Petrus 2005 was €6,500 for a bottle that costs €3,625 to purchase retail. We drank the very enjoyable Antinori Tignanello 2007 which at €225 compared to a market price of €102 was actually one of the cheapest on the list. As can be seem the mark-ups were distinctly variable and generally not excessive in relative terms, it is just that there are no cheap wines listed. There was also a wide choice of pairings available; the cheapest I noticed was €200 and some were in the thousands of euros. There was even a lengthy water menu, with mineral water ranging from €10 to one at €150. The nibbles at the beginning of the meal did not set a promising tone. 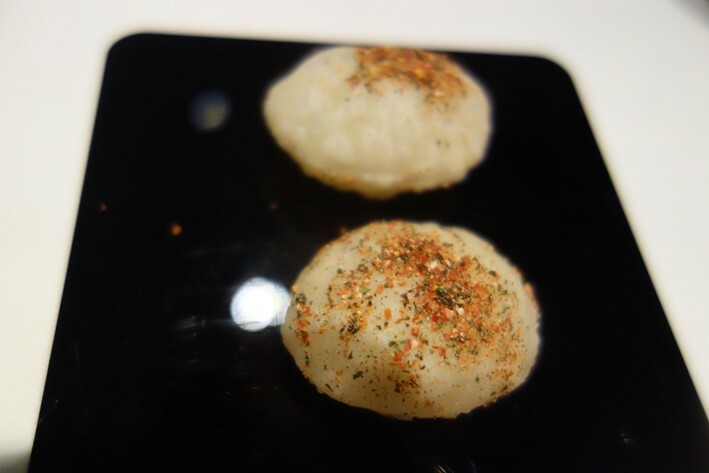 A fried pasta shell with goat cheese foam and dried vegetable powder had somewhat chewy pasta, not a lot of cheese flavour, and the dried vegetable powder had a slightly bitter taste (12/20). Better but still hardly thrilling was tomato cream, toasted breadcrumbs and garlic. 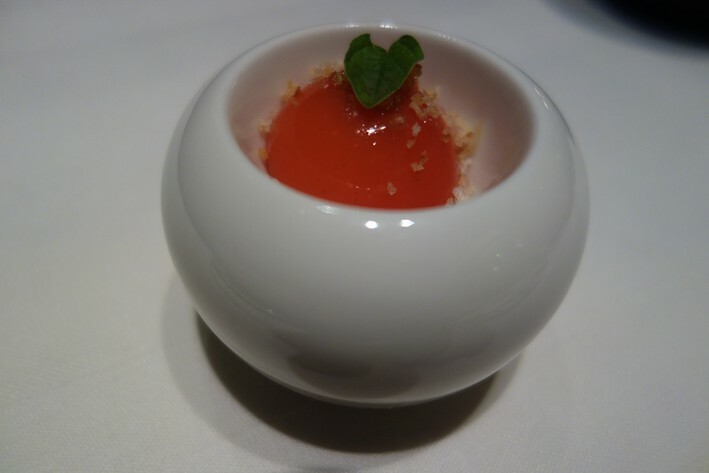 This was perfectly pleasant, though the tomatoes were not in the league of those at Don Alfonso 1890 (16/20). Grissini was the first bread offered, but others appeared in due course, apparently made in the kitchen, such as a soft white Tuscan mini loaf with good texture (17/20). 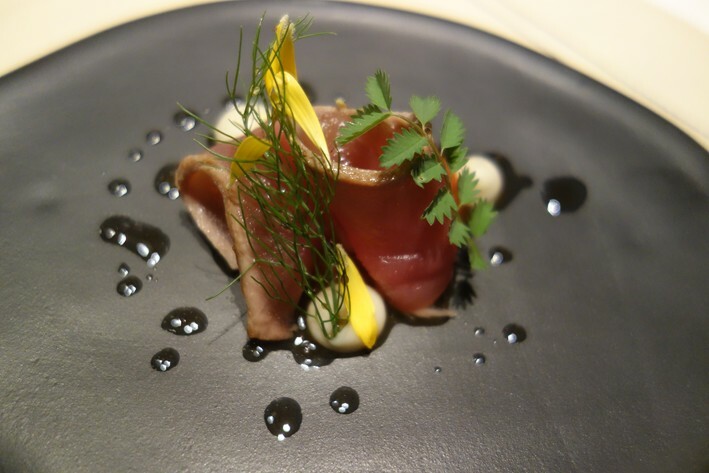 The final nibble was yellow fin tuna marinated in Asian dressing and served with fennel purée, liquorice sauce and tomato jam. The main bread selection now arrived, a choice of focaccia with anchovies, crisp polenta, baguette, and an unusual cavalo nero bread. My starter was scallops (€85) with pea cream and pea shoots, lardo and fried sage leaves, The scallops were sweet and lightly cooked, the peas had excellent flavour and the sage leaves were a revelation, lightly fried and bringing an interesting extra dimesion to the dish (19/20). 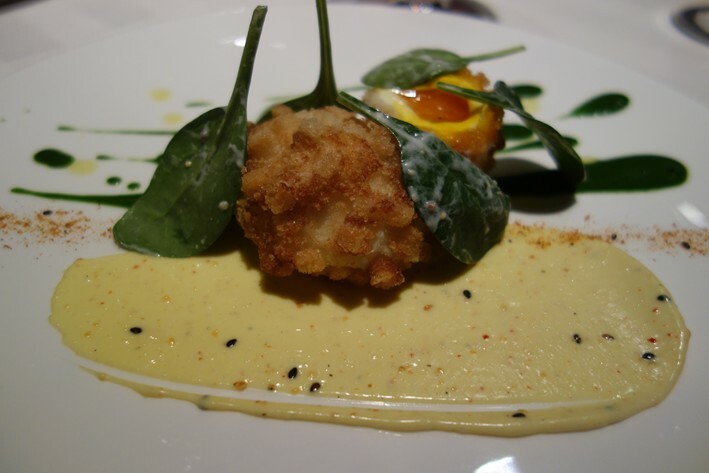 Crunchy poached egg (€50) with a peppery chilli mayonnaise, tender spinach leaves and good spinach purée was very enjoyable (18/20) though this must be one of the most profitable dishes ever created given the ingredient cost. 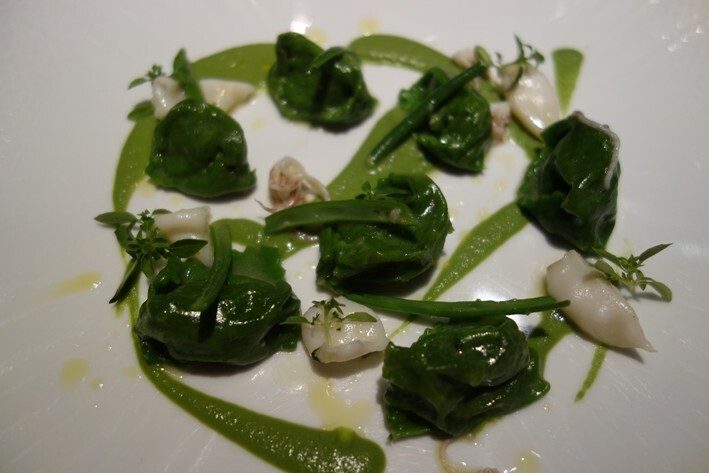 Potato and pesto agnolotti pasta came with baby squid cooked in white wine. The pasta texture was superb and the squid was impressive, very tender with good flavour (18/20). 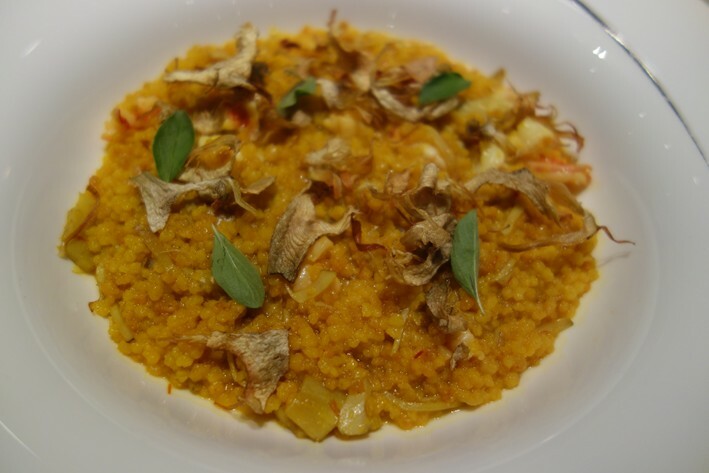 My fregola pasta (a Sardinian pasta) was hand made and prepared rather like a risotto, flavoured with saffron and topped with stewed artichokes, red prawns and delicate artichoke crisps. This was really superb, the prawns excellent, the artichokes lovely and the pasta faultless (20/20). Langoustine tails came with lightly cooked spring onions, crisp polenta, capers, leeks and a reduction of the shellfish. 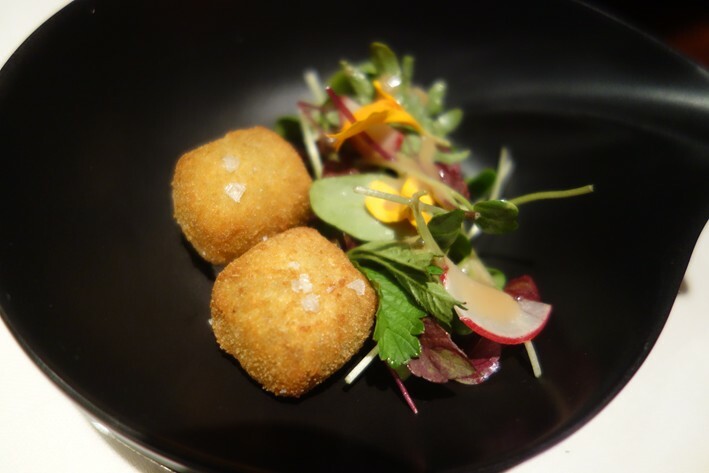 On the side was a little salad with fish liver beignet. The langoustines themselves were perfect, glorious large specimens that were beautifully cooked and with lovely sweet flavour, but the polenta was not quite as crisp as advertised and the leeks merely pleasant (18/20). 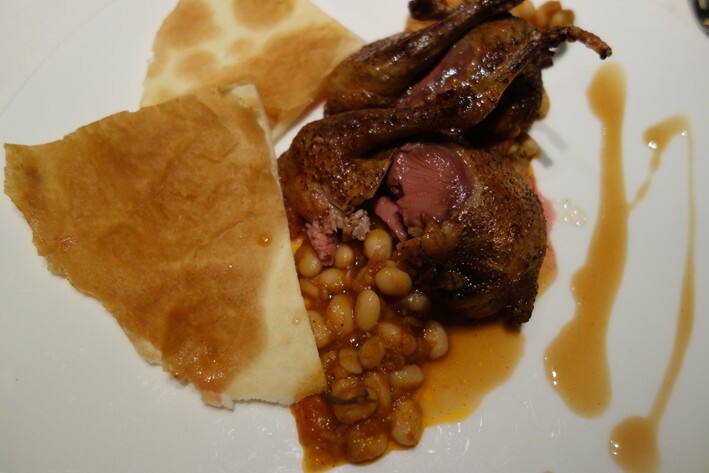 Pigeon from Tuscany was cooked in a pastry case in a cast iron pot, with the pastry cut open at the table and the pigeon carved and served. 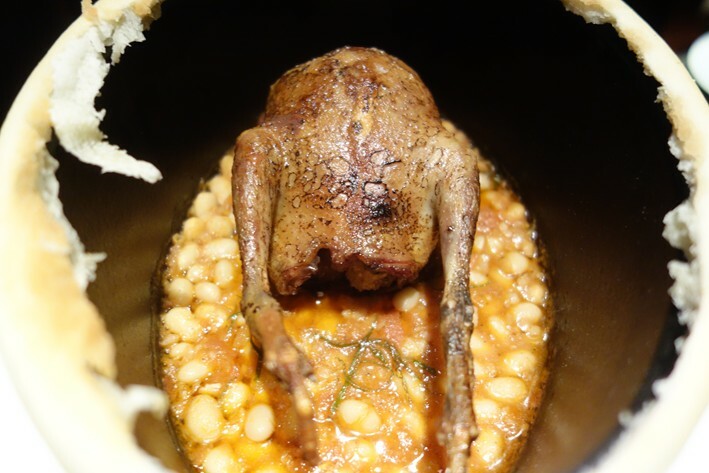 It was plated with tender zolfini beans. The meat was lovely and the rustic bean stew very good, but the dish was crying out for some green to balance the richness; a simple salad would have really improved it (18/20). 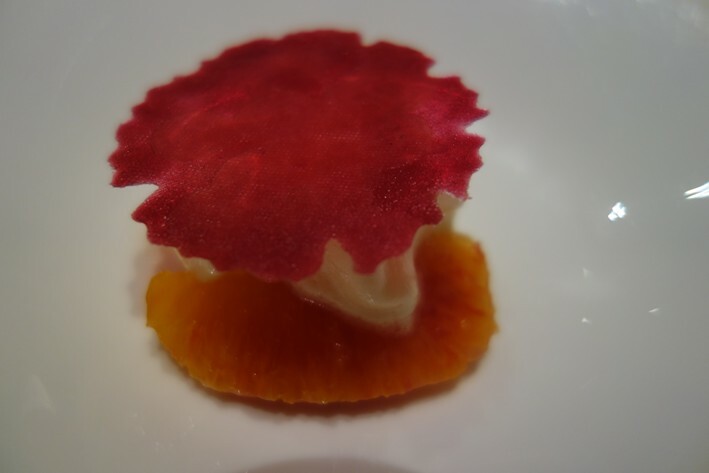 Pink grapefruit biscuits came with mandarin sorbet, skin of orange foam and was topped, for reasons that elude me, by a beetroot "crisp" that was not. The fruit elements were refreshing and enjoyable (17/20) but the beetroot added nothing for me. Lime meringue with sesame and ginger came with iced lemon with lime. This was refreshing and the ginger flavour was a nice touch though this was not spread evenly in the dish, so some mouthfuls tasted distinctly of sesame and ginger and some not at all (17/20). Biscuits with Gianduja and hazelnuts came with Greek yoghurt and passion fruit. 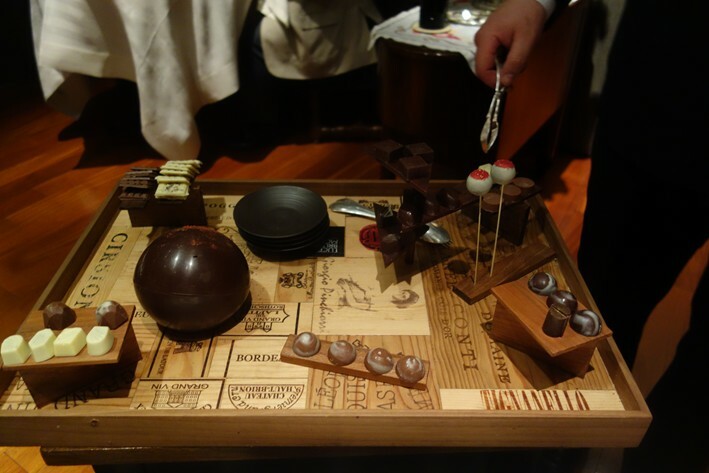 The hazelnuts had good flavour and went well with the chocolate, the passion fruit bringing some acidity (18/20). Finally, the mignardise comprised coconut meringue with coconut mousse and pineapple, marshmallow of green apple and cardamom, dark chocolate with raspberry, and strawberry with vodka and rosewater. Another lengthy menu proffered eleven pages of coffee and tea from around the world. This came with some very enjoyable chocolates. Service was excellent, with plenty of attentive waiters and a friendly sommelier. 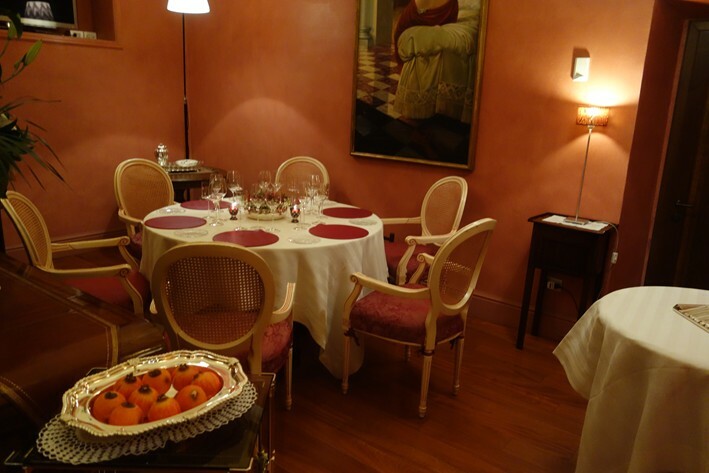 The bill, with pre-dinner drinks and the Tignanello, came to €400 (£296) per person. This is pretty chunky, but if you drank wine then it would be tricky to keep the bill down to much les than this due to the almost complete absence of affordable bottles. If you went for the shorter tasting menu and managed to comb though the wine list for one of the few cheaper bottles then a realistic price per person would be around £210. Overall I enjoyed my evening, a vast improvement on the meal I had here two decades ago just before it lost its third star, with a few genuinely impressive dishes. Value for money is debatable, though this is clearly a restaurant aimed at special occasions where those celebrating can explore the vast (and in patches quite fairly priced) wine list. Just returned from a 3 night break in beautiful Florence. 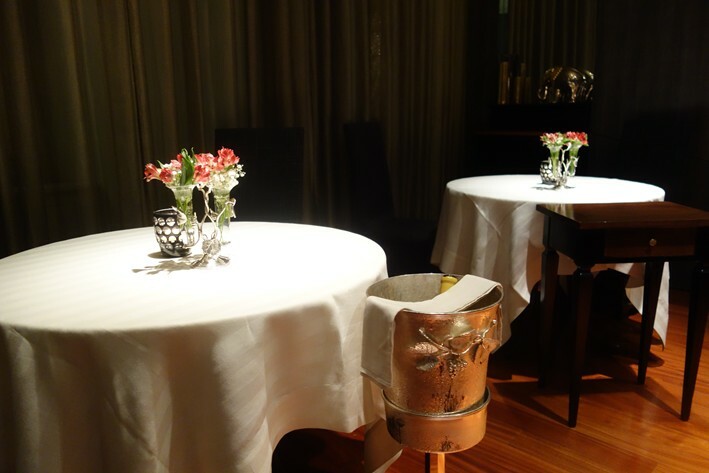 As always, my partner and I carefully selected all the 1/ 2 and 3 star Michelin restaurants for our lunch and dinner each day as this always forms a key part of our travel experience in any destination we chose. Regrettably we had the misfortune of dining at this restaurant and can categorically say this is one of the worst Michelin star dining experiences we have ever had ( and we dine out 7 days a week). Where to begin. The restaurant interior is dated and lacks in atmosphere. We were seated on the top floor - 9 covers with obtrusive free standing lamps between each couple obstructing one's view of your partner ; pink artex ceiling with pink table cloths and the view below was of dated pictures of two ladies in short skirts peering over a balcony ? Even the flowers on the table had labels of a florist who was no doubt providing these for free in return for a marketing opportunity . The waiter who was responsible for our table was thoroughly disinterested and bored. Despite having advised my vegetarian requirement weeks in advance, there was no separate menu and the 'tasting' menu was prepared on the hop and tasteless and uninspired. At the prices being charged ( eur 225 for a 6 course tasting menu or Eur 175 for the spring tasting menu) one would expect an effort to be made but this is a restaurant that is living on its past merits and not worthy of 3 Michelin stars . Quite incredibly for the last 45 minutes of our meal, we kept hearing a dog barking loudly and whilst we love dogs, we wondered why a diner who had been allowed to bring a dog into the restaurant, had not been asked to quieten the dog It was only as we left that we noted the dog belonged to the owner and was seated under the desk at the entrance to the restaurant where the owner was solely focussed on counting the cash coming in and had no regard at all for the disruption and annoyance being caused by his yapping little black dog that should not have been present it was causing so much disturbance We made our thoughts clear at the exit and can only warn anybody going to Florence to avoid this restaurant. Try La Bottega del Buon Café - an absolute food mecca in Florence where the impeccable service and interior design are equally complimented by fabulous food by a Chef who takes pride in every single dish he prepares !